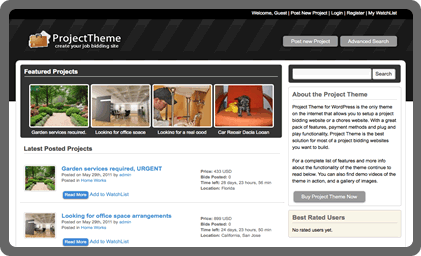 There's no other wordpress theme developer so far like Sitemile that specialize in creating premium wordpress themes for Auction sites, Classified ads, Project Bidding, Directory, Task Marketplace, Job board and many other themes that could powerhouse your site instantly with a VERY low price. Note: If you will upgrade you will just pay the difference. Use the coupon code above to get discounts!